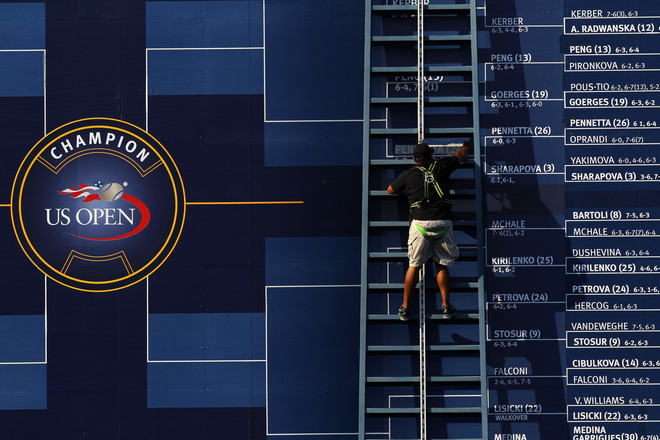 Monday marks the halfway point of the 2011 US Open. It will have been seven days since the gates of the USTA Billie Jean King National Tennis Center opened to the world and it will be another seven (weather permitting) until they close. The Open is a ruthlessly efficient affair, as I write this, 116 women and 112 men have been dismissed. Some, like Conor Niland and Heather Watson are stories for merely having been here. Others like Maria Sharapova and Juan Martin del Potro were serious title contenders whose quests for further grand slam glory were seemingly deferred, though perhaps ultimately denied, by the hands of fate and inspired opponents. 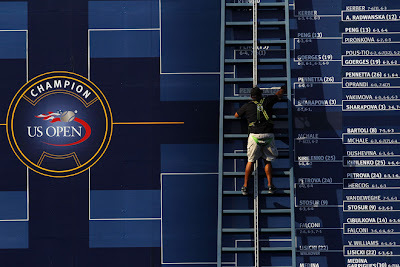 There will be time for reflection when the tournament's over, but now our gaze turns to those who remain, the 16 men and 12 women still competing for a US Open singles crown. We'll pretend we've been right until now and help you fill out the remainder of your 2011 US Open Women's Bracket. Are you ready for this? I'm predicting redemption for the WTA this week. The tennis cognoscenti has kept asking: "Where are your stars, where are your contenders" and suddenly, it looks like many of the best of them are on a collision course in New York. 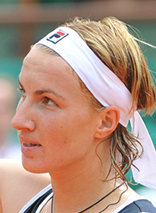 I'm a Svetlana Kuznetsova fan, she's always struck me as a cool chick. Big music fan, seems to have a lot of friends in the locker room, big game and hasn't shied away from the big moment with two majors already to her credit. The problem is, Kuznetsova's like a comet. She burns intensely, burns bright, sparks tons of conversation and then disappears for years on end until you wonder whether or not the Kuznetsova you've heard about is just a rumor. In other words, she's inconsistent. That's Caroline Wozniacki's forte, consistency. She might not have bagged a major, but six times this year, Caroline Wozniacki has held up the big trophy on Sunday including at the Premier Mandatory events in Dubai and Indian Wells and last week in New Haven. Add in a 4-2 head-to-head for the Woz and the fact that she's been dominant in their last two matchups on the hardcourts of Dubai and Montreal and it stands to reason that Wozniacki will pull through. Much less to say about Petkovic vs. Suarez Navarro except that Petkovic will win. Never mind that the Spaniard won their only prior matchup (on a hardcourt a year and a half ago) and that the German, Petkovic, is playing on a partially torn patella tendon...wait, what am I saying? I'm saying Petkovic is now a top 11 player and Suarez Navarro's ranking has plummeted out of the top 70. 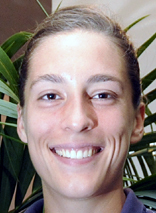 Petkovic has more than double the wins this year (45 to 22) against a similar number of losses (15 to 16) and Suarez Navarro's favorite surface has always been the red clay. In short, Petkovic moves on. There were two reasons that there was no US Open women's draw preview. First off, I ran out of time due to personal commitments; thanks Irene. Two, I could've summed it up in a word, Serena. The thought of a player beating Serena here is tough for me to fathom unless the American gets injured. 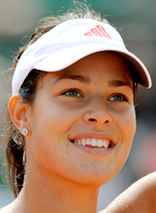 Certainly, injury would be the only way forward for Ana Ivanovic. Ivanovic has 24 wins, but 0 titles this season, playing all year; Serena has 19 wins and 2 titles since resurfacing at Eastbourne. Ivanovic is playing solid ball at the moment, but she's no match right now for a healthy, laser-focused Serena. Who is? This spelling bee of a matchup is more difficult to call and represents a nice opportunity for both players to reach the US Open quarterfinals. Schiavone is the higher ranked player, the Grand Slam champ accustomed to the pressure and leads their head-to-head 3 to 1, but the Russian, Pavlyuchenkova, has the bigger ground game which often is a predictor of US Open success. 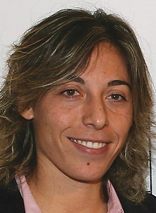 Schiavone has been pushed to three sets twice already, including a Houdini-like escape over Chanelle Scheepers in the last round, meaning she might not have her best stuff. 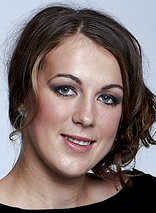 Look for Pavlyuchenkova to get through in two tight sets. An intriguing matchup of two of the tour's hottest players. Wozniacki and Petkovic have only played twice, splitting their meetings. Petkovic got the better of Wozniacki on the Miami hardcourts, while the Woz prevailed (handily) on the clay in Stuttgart. There's little to choose from between the two, with every stat going into this match relatively even. Petkovic has set career bests in every major she's played this year (including the US Open already), but has yet to make it past a quarterfinal. With all the focus on Serena, Wozniacki has been able to fly under the radar which is the best possible scenario for her. I think both women will be satisfied with their tournaments, but that embattled World No. 1 Wozniacki will move on. Faster, stronger, more experienced, Serena should win this match. That said, if the American is off her game, or suffers lapses as she did against Azarenka, Pavlyuchenkova has the strength to hit through the court and push Williams. I can't see both those things happening for two full sets, but this could be tighter than many (myself included) would predict. What an opportunity for one of these ladies to reach the US Open semifinals. 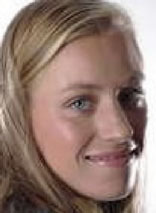 Kerber is barely ranked inside the Top 100, has lost more main draw matches than she's won and finds herself in a US Open quarterfinal against a player who frankly, she can beat. Pennetta is a different (read: more offensive) player than Agnieszka Radwanska, who Kerber upset in the 2nd round. She's also older and physically questionable following her nauseous episode yesterday. However, this is a situation where you trust the veteran to get it done. Pennetta, who's already briefly reached the Top 10 will be playing her 3rd US Open QF, at the expense of throwing out a cheap cliche, third time's the charm, right? On paper, this should be the best ladies' quarterfinal of the Open, No. 2 versus No. 9, two women who have played very well this summer including two tight head-to-heads in Eastbourne and Stuttgart. Interestingly though Vera is Sam's whipping girl of late, the lower-ranked Stosur has beaten Zvonareva seven times in a row. 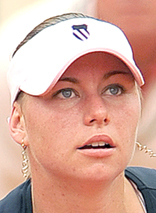 Zvonareva hasn't held the upper hand in this rivalry since 2004. Yes, the last two matches went the distance, but given the history, you have to wonder if Zvonareva has the closing kick to get it done against the Aussie. The positive note for Zvonareva is that Stosur has been walking a tightrope against Russians to stay in this tournament, slipping past Nadia Petrova 7-5 in the third, then dumping a couple of matchpoints before finally putting away Maria Kirilenko 6-3 in the third last night. How much more magic does Stosur have in that Babolat bag? Whoever wins this is probably going to the final barring injury and I'm giving the slight edge to the Aussie. "This is what they paid for, this is what they want," the words of Jimmy Connors have echoed loud across this US Open and are rather apropos here. Suddenly, that US Open women's semifinal session that I've seen a few discounted tickets for becomes home to one of the most anticipated women's match in recent memory. No. 1 vs. "No. 1," in whichever order you see it, this matchup is the de facto final, even though the winner will have some work to do on Saturday night. Williams has been on fire swatting away most of the competition this summer, but she hasn't yet come face to face with the woman who has been No. 1 since last October. Hey naysayers, you hear that? Since last October! Wozniacki has won six titles this year to Williams' two playing that frequently derided consistent, counterpunching style of ball. 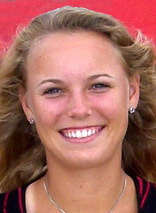 That said, in the two biggest hardcourt events of the summer: Toronto and Cincinnati, Wozniacki lost in the 1st round. We know she can play on DecoTurf II, she was a finalist in 2009, but this is a different ball game. Strangely enough, I expect a very nervy match from Williams. We saw versus Victoria Azareka that Williams isn't quite at her best level in terms of match toughness. She sprinted to an effortless early lead and then almost let Azarenka push her to a winner-take-all 3rd set. The stakes are high for Williams, this is ultimately how her comeback will be judged, by this US Open where she is so widely favored to win her 14th major. For Wozniacki, the pressure's off, dad Piotr has been fired as her coach, her lease on the rankings penthouse is secure for at least a few more weeks and no one, NO ONE outside of Denmark and her camp expects her to win this match. Serena's playing with a newfound urgency, rejuvenated after a life-threatening health situation, the younger Williams is working to secure her legacy as she ages her way toward the finish line. Wozniacki is just sunnily rolling along. No one expects her to win and that's just the way she likes it. When I say that no one expects Wozniacki to win, I'm including myself. What I doubt you know is that Stosur and Pennetta have played four times since 2009, all on hardcourts and that Flavia Pennetta has won every single time, only dropping a set once in a tight Fed Cup encounter earlier this year. Essentially, making this the upset that's not an upset at all if Pennetta wins. The big difference is that none of those matches have been in a major. 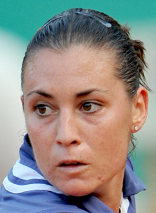 It's new territory for Pennetta, but it's territory that has tripped up Stosur in the past. 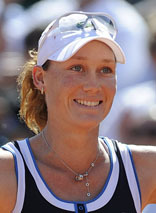 I'm ignoring the history here, I think Sam Stosur pulls off the win in another tense, nervy semifinal. Many companies also offer a variety of sports gaming markets online with the option of 24/7 Paris.bitcoin sportsbook is online right here.. The 2011 US Open was a very competitive tournament especially the women's open saw some breathtaking performances by the top seeds. 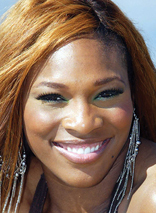 From the beginning of the US Open 2011, Serena Williams was the favorite to lift the women's open title. However, the final match between Serena and Samantha Stosur was completely dominated by the latter and it looked like a one-way match. It was perhaps one of the biggest defeats for Serena Williams which cause some terrible upsets for her fans around the world. But this was past and today seeing what Serena has achieved only a few can dream about doing it.